Twitter spent the last several months experimenting with your timeline. The network created an event feed around the World Cup, started showing content from people you don’t follow when you pull to refresh, and now shows you important tweets you missed at the top of your stream. But Twitter has been lagging behind when it comes to building brand new tools for you to use. That changes now. Video on Twitter isn’t exactly new—the network owns Vine, so you can share 6-second loops that show up in-line. 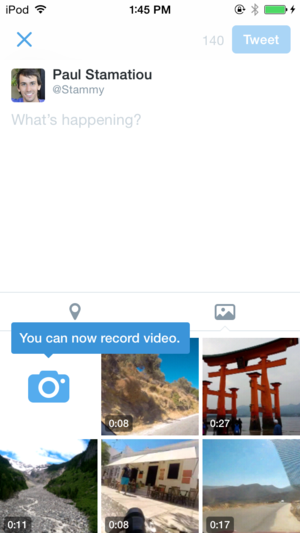 Twitter's new video tool lets you shoot and share clips in-app. But you haven’t been able to shoot and share clips natively within Twitter until now. When you compose a tweet, tapping on the camera will give you an option to toggle over to video mode. You can shoot multiple clips and edit them into a 30-second video, all within the app. The footage will show up and play in-stream, like photos already do. Twitter’s direct-messaging feature has languished over the last few years. You could only send messages to people who followed you, unless you enabled the option to let anyone DM you during a brief Twitter experiment awhile back. 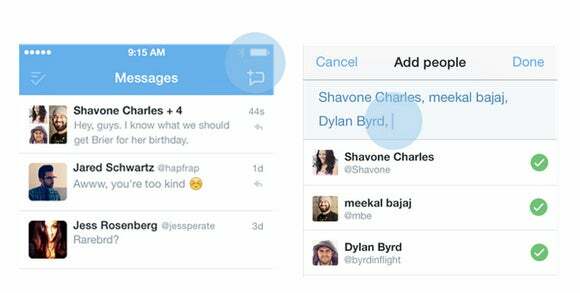 Now you can create a group chat of up to 20 followers straight from the direct messaging tab. Those 20 people don’t need to follow each other to see and respond to the thread. You can share tweets, links, photos, and emoji (of course), and take public conversations private. This is an improvement for Twitter’s power users, who already love DMing, but also might make Twitter easier to follow for casual users. Conversations on the platform can devolve into a messy thread of inside jokes between multiple people, and those chats can be taken to DM to spare everyone. A few months ago, Twitter started allowing users to share tweets in direct messages, and I was surprised to discover just how often I used this option. E-mailing a tweet doesn’t spark a conversation the way DMing one does.